Meat Band Saws There are 3 products. Reliable and secure to use a saw. Equipped with a powerful 550 W 220V motor. Meat grinder included. 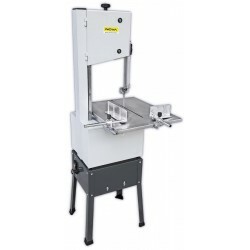 Maximum cutting height of 240 mm Maximum width of 250 mm.Table size: 470 x 600 mm.